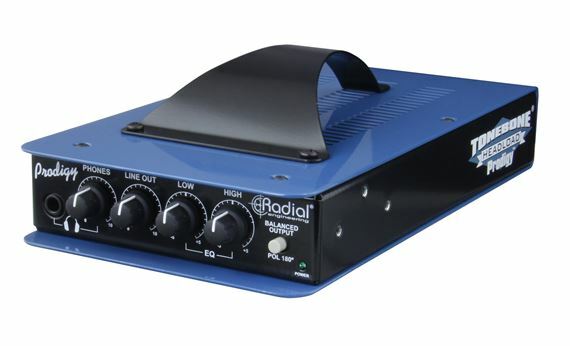 Shop Radial Headload Prodigy Tube Guitar Amplifier Attenuator With JDX from AMS with 0% Interest Payment Plans and Free Shipping. Designed to produce a lower stage volume when needed, the Headload Prodigy is a combination load box and DI that lets you drive your guitar amp at a higher output in order to maximize the tone. Like the larger Headload, the Prodigy employs custom made cement-encrusted ceramic-coated resister coils to convert the excessive power from the amplifier to heat and is able to comfortably withstand up to 100 watts RMS. The Prodigy may be used in three different ways, depending on the need: First, it may be used as a direct box via the built-in Radial JDX Reactor. The hugely popular JDX combines a reactive load with a proprietary filter bank to emulate the tone of a 4 x 12 half stack. This features 100% discrete class-A circuitry for optimal tone and transformer isolation to eliminate hum and buzz caused by ground loops. Designed to replace a microphone, the JDX delivers greater consistency while eliminating concerns such as stage resonance, bleed from other instruments and problematic room acoustics which can play havoc on the tone. Second, the Prodigy may be used as a load box where you can attenuate the output from 100% down to 50% to drive your amp harder while keeping the volume down to a comfortable level. Finally, the prodigy can be used without a speaker cabinet for completely silent recording. This is particularly useful in small venues where the speaker cabinet on stage may conflict with the sound in the room. It is also great for silent recording where you want to take advantage of high power amp distortion without upsetting the neighbors. 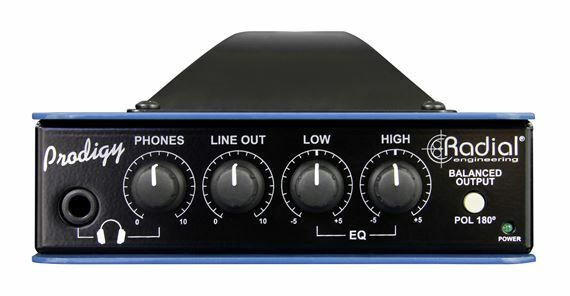 In order to optimize the playing experience for in-ear monitors, a dual band EQ lets you optimize bass and treble settings. 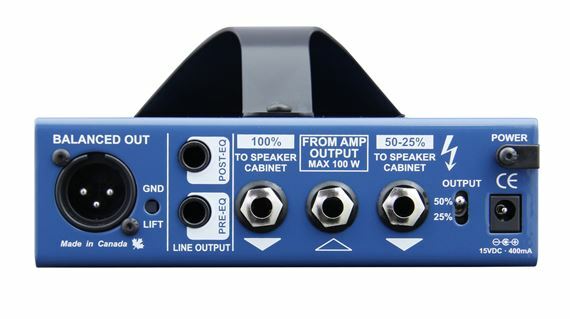 Two additional 1/4" outputs enhance connectivity: The first is direct from the amp while the second is post EQ - post JDX. These are used to feed additional amplifiers or effects and adjusted using the front panel level control. A second level control is used to adjust the built-in headphone amplifier for silent practicing. Housed in 14-gauge steel to help keep magnetic radiation at bay, the Headload Prodigy features a handy carry handle plus Radial's unique book-end design that creates a protective zone around the switches and controls. The internal I-beam construction adds tremendous rigidity, protecting the sensitive PC board from being torqued which could lead to solder joints going cold prematurely. Headphone output: 400mW into 32 ? Radial prodigy does exactly as advertised. Simulation of 4x12 classic cabinet is spot on. I'm presuming "classic" would relatively mean a Marshall 4x12 . The dual EQ is responsive and a valuable feature. My application is specifically silent recording. And the radial prodigy done the job quite well. No IRs. Or IR loaders. Straight in XLR to interface loading an EVH 5150 50 watt combo. Conveniently the 5150s are switchable to 8 ohms. So, take note, this load box attenuateur is 8ohms. No available 16 ohm? Nonetheless, built like a tank cool as a cucumber. Very nice!